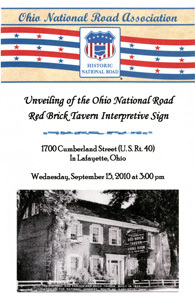 The tenth Ohio National Road Interpretive sign, commemorating the Red Brick Tavern, was unveiled on September 15, 2010. 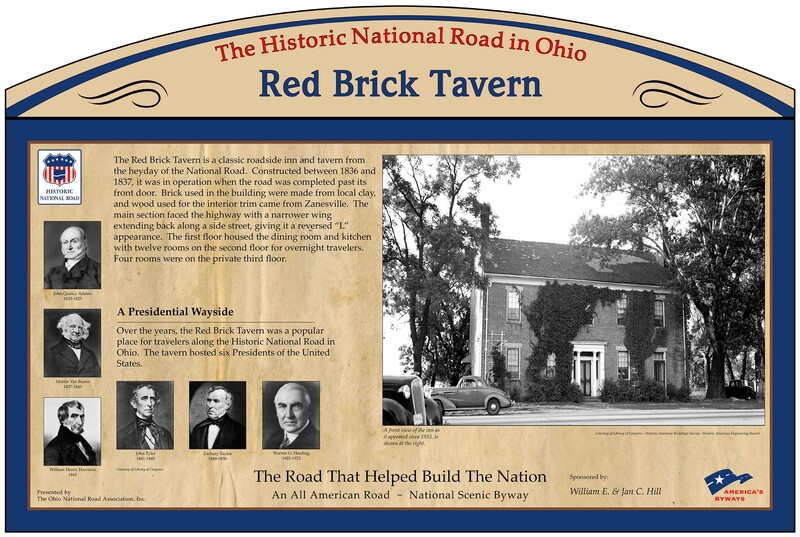 The Red Brick Tavern is located in Madison County at 1700 Cumberland Street (U.S. 40/National Road), Lafayette (London P.O. ), OH 43140. 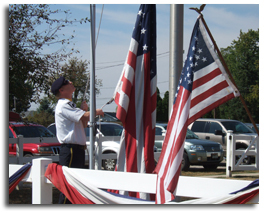 Shannon Hix, from London’s American Legion Post 105, raised the American flag and led the attendees in the Pledge of Allegiance. Paster Carolyn Peacock (not pictured) of the Lafayette and Plumwood United Methodist Church gave the blessing. 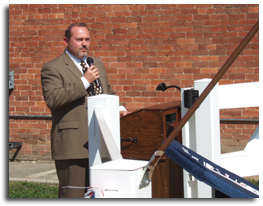 Sean Hughes, Executive Director of the Madison County Chamber of Commerce, welcomed everyone and was the emcee for the program. 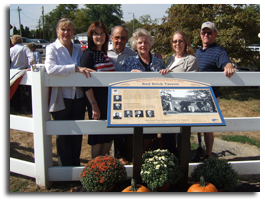 In ONRA President Cyndie Gerken’s remarks, she thanked Red Brick Tavern manager Sharon Alexander for planning the event and William and Jan Hill for sponsoring the interpretive sign. 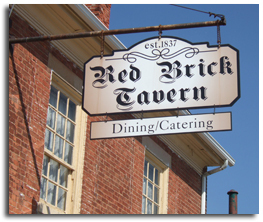 The Hill’s, from Centereach NY, have been long-time ONRA members and after reading about the Interpretive Signage Project, decided to sponsor the Red Brick Tavern because of their fond memories of dining here. 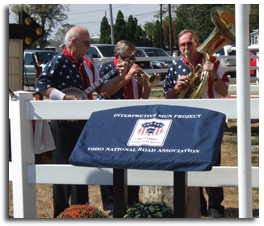 The Ohio National Road Interpretive sign stood awaiting its unveiling, as patriotic music was played by The Dixieland Band, the Red Brick Tavern’s unofficial “house” band. 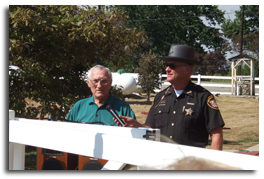 Madison County Sheriff Jim Sabin (shown at right), provided some National Road history and asked retired Madison County Sheriff and retired County Commissioner Herb Markley to say a few words. Herb provided some local National Road anecdotes and even played us a tune on his harmonica. 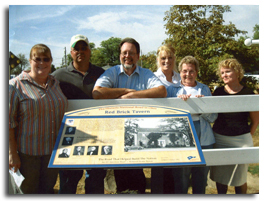 (Pictured left to right) Red Brick Tavern owners Madonna Christy and Cris Cummins, and long-time employees: bartender Kelley Meredith (27 years), Rhonda Casteel (7 years), Neval Pennell (63 years) and Lyn Watson (20 years) who were on hand for the unveiling. Also in attendance (not pictured) were members Charlie Fisher and Sharon Roberts of the Madison County Historical Society, and representatives from both of the local newspapers, the Madison Messenger and the Madison Press. 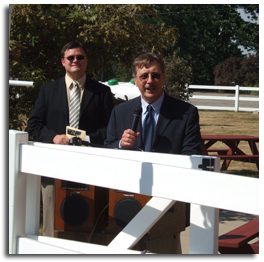 Madison County Bicentennial Committee Co-chairs (left to right) Madison County Commissioner David Dhume and Madison Press Publisher Devin Hamilton spoke about the county’s 200-year history and the significance of the Red Brick Tavern’s place in it. 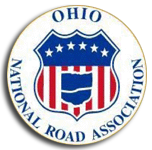 The Ohio National Road Association was well-represented by Board members (left to right): Marian Vance (At Large member), Cyndie Gerken (Board President and Miami County representative), Mike Peppe (Franklin County representative and ONRA Signage Committee chair), Denna Johnson (Clark County representative), Elizabeth Reeb (Muskingum County representative) and Paul Seibel (Montgomery County representative), and his wife, Phyllis. 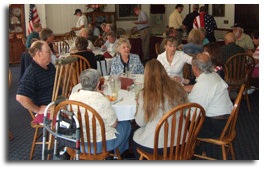 Following the ceremony, a delicious reception was enjoyed by the attendees in the President’s Room.